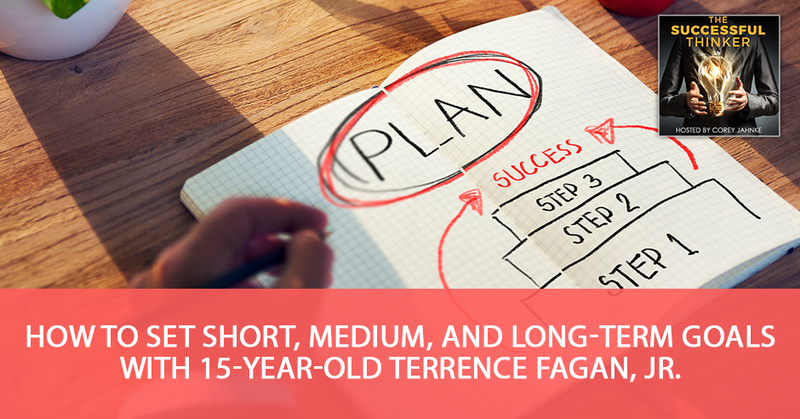 How To Set Short, Medium, And Long-Term Goals With 15-Year-Old Terrence Fagan, Jr.
Home PodcastsHow To Set Short, Medium, And Long-Term Goals With 15-Year-Old Terrence Fagan, Jr. 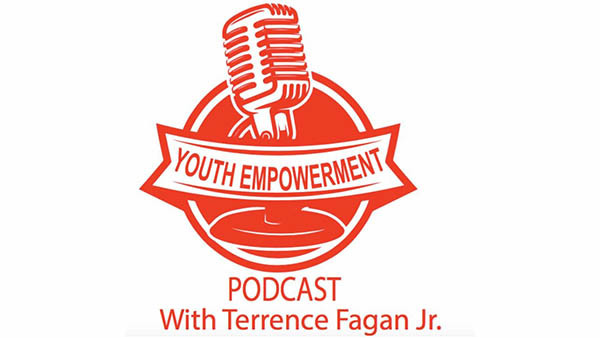 Host Corey Jahnke interviews fifteen-year-old author and podcast host Terrence Fagan, Jr. about how to focus on building a bright future for yourself while empowering your peers. 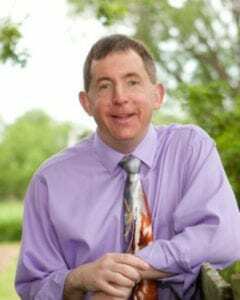 Terrence is well ahead of the game for his age and shares some important thoughts and insights as to how anyone at any age can make a difference in the world by creating daily actions that move them towards future end goals. I’m super excited because I have a super special guest. When I decided to do The Successful Thinker podcast, I never thought in my wildest dreams I’d be talking to somebody as bright and talented as this young man I’m going to bring on. This young man’s name is Terrence Fagan Jr. He’s a fifteen-year-old youth mentor. He’s got his own podcast called the Youth Empowerment Podcast. He’s an author of the upcoming book Youths on Fire: Take the Right Today to be the Best of Yourself Tomorrow. He’s also the creator of three journals which are sold on Amazon, My Daily Action Planner, My Thankfulness & Gratitude Journal and The Prayer Journal. Terrence is also an online entrepreneur. Terrence, welcome to the show. You’re welcome. I’m excited because I’m hoping you will share your story with me and my audience. You’re fifteen. What got you started early when other teens are out there doing what typical teens do? I’m never a typical child, I was told. Even my teenage years is no different. I started this early because there’s so much that we can do as youths, but so many youths are not living their true potential. Hence, I decided to do what I can. I decided to empower and inspire my peers to do more rather than waiting for a leader. One of the things about life is that it’s moving along super-fast. I always say that change is multiplying itself and expanding exponentially. Can you give me a basic idea of how you got started? Who’s your biggest influence? My biggest influence would be my parents. How did they go about getting you started in business and writing and so forth? I started myself. I’ve been slacking off. If my parents weren’t here, I wouldn’t be where I am right now because they’ve been pushing me to my limit. That’s why I’m here now. As I was reading the introduction, I was interested in the journals that you’ve published already on Amazon. I know that I was three times your age before I published my first book. Can you share with me a little bit about your journals and what they are? My Daily Action Planner is about planning each and every day so you’ll have a benefit out of it. My Thankfulness & Gratitude Journal is about writing things you’re thankful for each and every day basically in a nutshell. The Prayer Journal, if anyone in our audience is a Christian or any other religion, it’s about writing religious-type stuff. It’s important that you get the most out of every single day because every day is an opportunity. The My Thankfulness & Gratitude Journal is a wonderful idea because oftentimes people in America they take so many things for granted like running water, heat, electricity, all that stuff. Certainly, people worldwide don’t have access to it, some of the many benefits that we have. I want to commend you on that. I take it that your religion is center in your life to some of the ideas and things that you’re putting forth so far. To give our audience some context and a real sense of what your values are, what does the word success mean to you? What does it mean to be a success? Success for me is the freedom to live life on purpose, freedom to do what keeps me happy and fulfilled. I don’t want to ever be stressed about not having enough time for myself, my family, my friends and the causes I hold dear to my heart like youth empowerment. It’s great when we give our time to others in need. When you’re able to go a step further and give monetary help, it goes far away. In a nutshell, success for me is freedom. One of my favorite quotes is by a man named Brian Tracy. He’s a speaker, writer and author. One of the things he talks about is the real purpose of life is to give yourself options. The more options you have, the more freedom you have. At your age, it’s amazing that you’ve got that front and center. That’s not easy. When obstacles present themselves, which they always do, what strategies, tactics, techniques for overcoming them do you have for reaching your desired results? We’ll always have obstacles in our lives, no matter your age. My first strategy is to not give focus to the challenges and obstacles that are present in my life. I want to encourage those in our audience that you should never think too much about the challenges. Instead, place your mind 100% on the possible solutions. Why you might ask? It’s because the things you think about the most will manifest itself in your life. The next thing I do even at fifteen years old is to start taking action. That can simply be connecting with someone who can give you some help to get you out of the situation you’re in. If you’re doing something and it’s not working out or creates stress for you, try something new. You should always try something new. The key is to never start working on finding solutions to the issues until you do. I see this in business all the time. Many people want to focus 90% of their efforts on the problems and only 10% of their efforts on the solutions. Successful thinkers flip that on its head and spend 90% of the time brainstorming solutions because the more you spend time on solutions, the better solutions you’re going to find. Can you tell me about a time when you were stuck though? Even at your age, you must have run into many challenges where you’re ready to give up. How did you get unstuck? What helped you change your thinking around that situation or problem? Giving up is never an option for me. However, I’m always into fitness, in sports, particularly track and field. I’m a part of my high school’s track and field team. I had my first official race and I came dead last. I consider myself a sprinter. My coach plays me in the 800-meter race and I came dead last because I’m a sprinter. My parents were there and I felt down that I didn’t do better. My parents and I were talking. We began joking about that wasn’t all that bad as I made it out to be. I was in first place for the first 400 meters. I thought that’s a positive. I decided that even though the long distance is not my favorite, I still need to put in more effort to get a better result. It’s important to point out that the way you perceive a situation will determine how long it stays with you, good or bad. A lot of times most people are successful to the degree that they explain things to themselves. You could say, for example, if you get stuck in traffic. I can complain and get upset and get angry, but you can also say, “This gives me a chance to unwind after work or unwind after a long hard day at school and relax.” How do you explain things to yourself? It does make a difference. I give you credit on that. Winning the first 400 meters of an 800-meter race is a big deal because if you’re stuck with it, you’d never know before long maybe you’ll become a sprinter and an 800-meter racer. You have a daily planner. How do you go about setting up your approach to your goals and your dreams? You’re full of big dreams. In my life, there’s short, medium and long-term goals. How do you go about your goals? For the short-term goals, I write down the things I want to accomplish weekly. Each night, I make a note of what I need to do the following day to ensure I accomplish what I set out to accomplish that week. I also make sure I do the most important ones first. My short-term goals are the ones that lead to my medium and long-term goals. For example, my medium-term goal is to successfully complete high school and college in a couple of years. I’m in dual enrollment, which is possible. In order for this to happen, I have to be serious about accomplishing my short-term goals, like making sure my assignments are completed on time. One of my long-term goals is to be a successful online entrepreneur and all of that is totally dependent on what I do right now. Many persons ask, “Why do I start doing these things early?” I say to them, “Why wait when I can start now? The earlier, the better just in case if there’s a failure, I’ll have time to recover from it.” The bottom line is to prioritize. Make sure you get those important activities done first, all of which will help you accomplish your short, medium and long-term goals. Many people don’t seem to understand that your short-term goals feed your long-term goals and then you’re going through the motions. People then end up wondering why they become unhappy in the long-term. 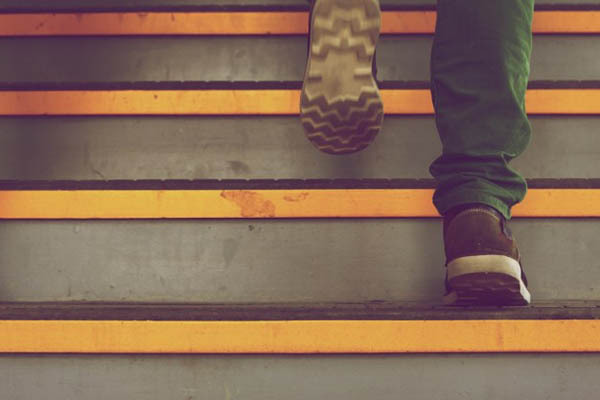 Would you say that you’re making good progress on your medium and short-term goals? I would because everything is going as I planned. Congratulations on that. I give you credit because setting goals at a young age and looking for the long-term is one of the things that sets successful thinkers apart. A lot of people struggle with what they call a long time perspective, meaning that they can only think about the next day or the next two days. I know a lot of the youths in my area want to think about what’s going on Saturday night and they can’t get much past that. Do you find that that’s a big struggle for teens in your area as well? What advice would you give to a teen who is thinking short-term? How would you go about coaching them into working on the long-term? First of all, you have to write down your goals and you have to be dedicated. Dedication is the key to anything. You have to be dedicated. You have to be motivated to accomplish those goals. When I look at dedicating myself towards a goal, I try to have what I call a big why or a big reason for doing it. Do you think teens have trouble putting their why out in front of them? One of the things that I believe and I know that you believe this too is that leaders are learners. Successful thinkers believe in constant and never-ending improvement. What is your routine for lifelong learning? How do you outpace the other teens in your area? I’m fifteen years old. I don’t have a lot of experience. However, I’m taught to always be keen on learning something new every single day. I’m enrolled in high school and college, but I don’t solely depend on that because what I want to do is not fully taught to me there. I’m enrolled in a business school for teens, which is hosted by Mr. Boruch Akbosh. When I was twelve years old, my mom took me to my first business conference in Canada. The internet is available with about anything we want to learn so we have no excuses not to constantly learn things, which will ensure improvement happens every single day. I’m not saying those to be a showoff, but to encourage everyone out there to open their minds every single day to learn something new and to aim to be better than the day before. Setting Goals: Now might not be the perfect day, but it’s always the right time to take action steps, however small those steps are. In your opinion, what separates successful thinkers from average thinkers? Why would some people be amazingly successful while the vast majority struggle to get through their days? It’s definitely the mindset. Successful people give focus to the things we want in our lives, whilst average and unsuccessful people spend most of their time focusing on what they don’t want. Not understanding that the things they want the most will manifest itself in their lives. You get what you focus on. While other people are talking and thinking about their problems and what they don’t want, successful people are talking about what they do want and what they can accomplish and what they can achieve. I was wondering what you would want to be a long-term entrepreneur in. 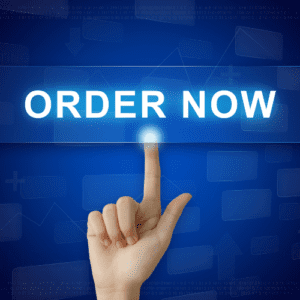 What does your online business look like in the future to you? To me, I keep the mindset of it being successful because I’m dedicated, motivated and always attending to my businesses. That’s why I keep that mindset. You’re focused on it being a long-term success. Can you tell us more about you and where our audience can go to learn more about what you do and maybe even start following you? I don’t like the path my peers are on. I’m on a mission to empower them to be the best version of themselves by start taking the right action now. Not tomorrow, not next week or even next month, but now. Now might not be the perfect day, but it’s always the right time to take action steps, however small those steps are. If parents and youths are reading this and they want to make contact with me regarding mentoring, they can visit my website at www.YouthEmpowermentPodcast.com. I have various resources, my journals, my courses and youth mentorship programs are available right there as well where they can sign up. Are there any special social media places that you like to hang out or where you like to post content? 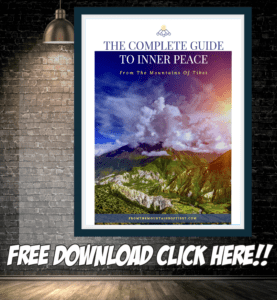 I give free valuable content on my social media platforms daily. Your audience can connect with me on Facebook, Instagram, LinkedIn and Twitter. It’s @TerrenceFaganJr and also @YouthEmpowermentPodcast. I will ask for your audience to support me on my mission to inspire and empower youth by going to iTunes to subscribe to the Youth Empowerment Podcast. Rank my show and give me a review and give us five stars if possible. They can also tune into Youth Empowerment Podcast on Google Play Music, Spotify or Stitcher Radio. This will help me to spread my message of youth empowerment to more youths all over the world. It isn’t just in America or in other well-developed countries where youths need more empowering. Worldwide empowerment of youths and even adults is a worthy cause. Terrence, I really want to give you a big shout out for the work you’re doing, the work you’ve already done, your vision for the future, your ability to set goals and your mindset. I’m proud of the work you’re doing. If you could leave my audience with one big takeaway, what would that be? It would be to set goals. Set short, medium and long-term goals. Set short-term goals before because those are the goals that will lead to medium-term goals and long-term goals that you have. Terrence, thank you so much for visiting with me. Successful thinkers, I would want you to do me a huge favor and take Terrence’s advice. Sit down and say, “What are my long-term goals? If I want to get there, how can I set medium-term goals and short-term goals that are going to have me at the end of the year saying, ‘This is my best year ever.’” Thanks a lot for reading and remember I believe in you. 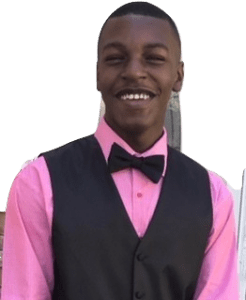 Facebook – Terrence Fagan Jr.
LinkedIn – Terrence Fagan Jr.
Instagram – Terrence Fagan Jr.
Terrence Fagan Jr. is a 15-year-old youth mentor. He’s the host and founder of Youth Empowerment Podcast. 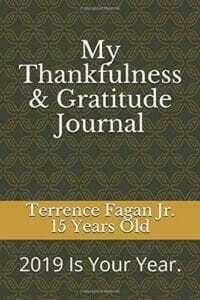 Terrence is the author or the upcoming book ‘Youths On Fire: Take The Right Today To Be The Best Of Yourself Tomorrow.’ He’s the creator of three journals which are currently sold on Amazon; My Daily Action Planner, My Thankfulness And Gratitude Journal and The Prayer Journal. Terrence is also an online entrepreneur. In 2008 Corey found himself facing compassion fatigue and provider burnout at life-threatening levels. The real estate crash combined with emotional exhaustion created a nearly impossible relationship situation at home. Fortunately, one amazing night EVERYTHING SHIFTED and Corey found a way to make peace with the villains that were challenging his very survival. His life's mission is to help you and your organization to do the same. Connect With Me On IG! In 2008 Corey found himself facing compassion fatigue and provider burnout at life-threatening levels. The real estate crash combined with emotional exhaustion created a nearly impossible relationship situation at home. Fortunately, one amazing night EVERYTHING SHIFTED and Corey found a way to make peace with the villains that were challenging his very survival. His life's mission is to help you and your organization to do the same. © 2019 · Corey Jahnke International Designed by Poditize Theme by HB-Themes.